This girl has gone Rainbow Loom crazy! 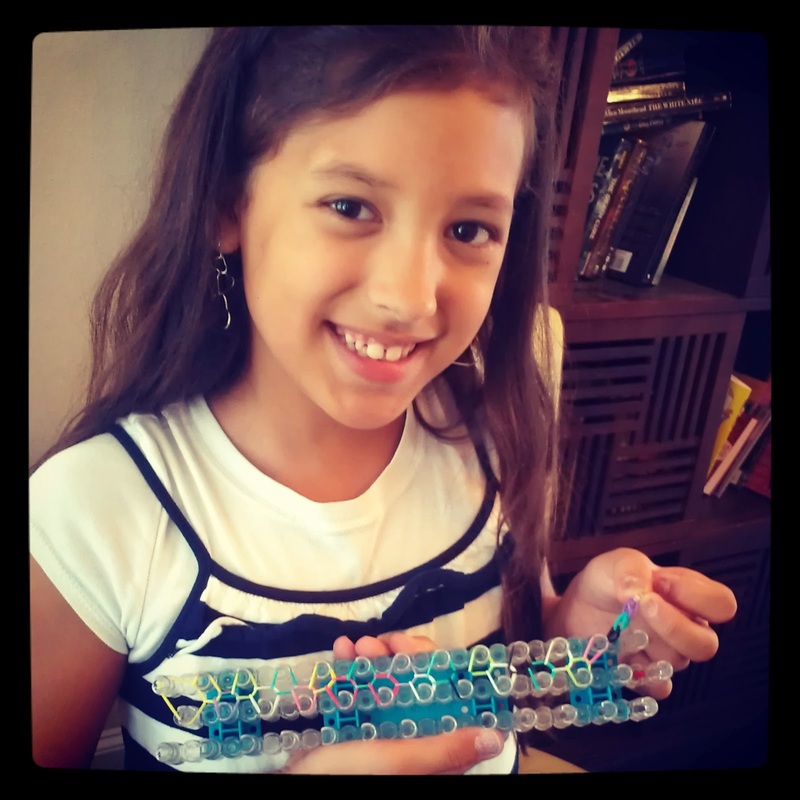 :) She used her own money to buy a Rainbow Loom kit and has been making all kinds of bracelets lately. She even had a list of kids at school who she wanted to make some for and what their favorite colors were. So sweet! And I'm realizing as I type this I don't have any pics of said bracelets. Hmmm. I'll have to take some :) She is such a creative little maker of all kinds of things. I love to see her working hard and using her mad creativity skillz.